exhibition history: "Natives and Settlers," Great Hall, 12-17-1979 to 3-9-1980. 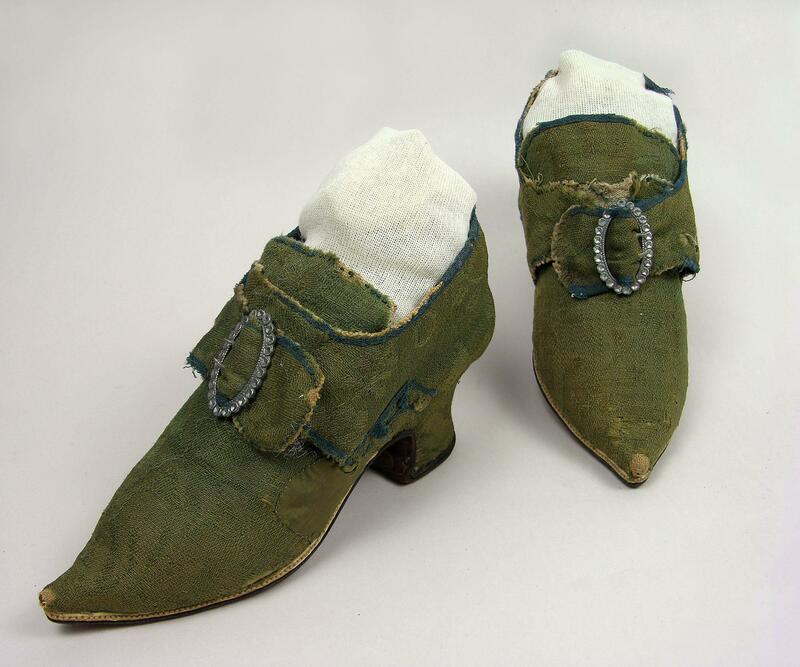 Shoes, green cloth uppers, high heels. Pewter buckles. Early style.